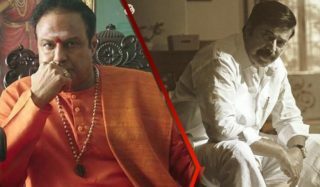 Yatra is not a biopic of YS Rajasekhara Reddy. It is a depiction of one of the crucial phases in his political career that helped him to win against all odds. 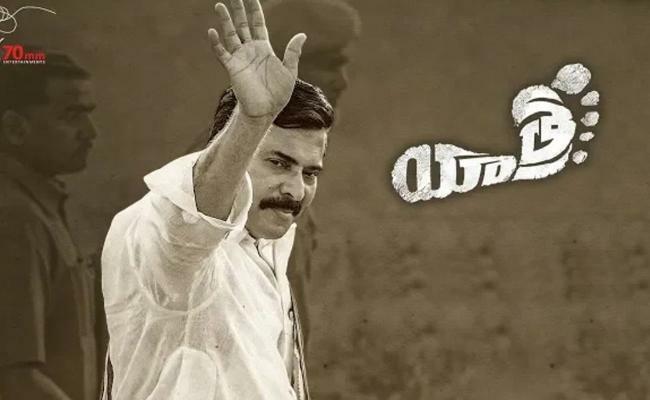 The film only focuses on YSR’s Pada Yatra and the decisions he made after interacting closely with people. Rajasekhara Reddy (Mammootty) decides to start Pada Yatra when the ruling party decides to go for early polls. During pada yatra, Rajasekhara Reddy comes to know about the plight of farmers and poor people. The film is a collection of scenes which lead YSR to introduce many welfare schemes that eventually lead him to power. Mammootty doesn’t try to mimic or look like YSR at all. Except for the hand gestures Mammootty does it in his own style but still bring authenticity and makes us believe that he is the Rajasekhar Reddy. His performance and screen presence are Yatra’s main highlights. Rao Ramesh as KVP is good. Totapalli Madhu’s imitation as VH is superb and provides comic relief in this otherwise serious drama. Sachin Kedekar is good and Posani makes an impression. Jagapathi Babu plays a blink and miss cameo as Raja Reddy. Director Mahi V. Raghav seems to be an ardent admirer of YSR. He shows him as the dynamic leader who dictated terms to High Command. Mahi tells the story behind Pada Yatra in his own perspective. He did well in getting the emotions right and the subtle elevations will please YSR fans. Music by K is very ordinary. There are ample songs but none is catchy. Even the background score is underwhelming. Dialogues are very impressive. Cinematography is decent. Editing could have been better. There are so many drags and jumps in the second hour. Production values are neat. YSR life story has the potential to be made as a complete biopic. However, director Mahi V. Raghav focused only upon the Pada Yatra and the emotions that YSR might have gone through while interacting with people. The film’s main focus is upon establishing the idea behind the schemes introduced by YSR. Lengthy scenes are solely dedicated for this purpose. First half of the film gives us a bit of introduction of YSR, the opposition leader, who is looking for an opportunity to serve people. He decides to take up Pada Yatra and on his way he gets to interact with the farmers. He comes to know about their problems and promises to give them free power. He also come across the aged people struggling to get pension. There is a very big sequence that is totally dedicated for the birth of the idea of ‘Arogyasri’, one of the iconic schemes introduced by YSR. In between the emotional journey and interactions with people, YSR’s dynamism is shown in the way he deals with the High Command. These are definitely exaggerated, but gives the necessary kick to YSR fans. All the scenes between YSR and High Command clicked due to subtle direction and minimal dialogue. There are a few satires on TDP as well. ‘They briefed me’ phone call was used effectively and it received thumping response. There are some impressive scenes and well written dialogue that makes Yatra a decent watch. However, the film is made with the intention of pleasing YSR fans than showing the facts. It is more like a personal film than a film based on real incidents. The documentary styled presentation and over dramatization would limit its box office reach.